HomeChiang MaiExperience Traditional Rubber Ball Making in Muang Kung, Chiang Mai! Let's get new experiences creating things by your hands in a half day trip! You'll go to a workshop where rubber products are made! You'll also be sightseeing at Muang Kung pottery village in Chiang Mai. Join me! What are you waiting for! Let's visit a rubber plantation that grew the first orchard in Chiang Mai! You'll briefly get to know about the latex rubber harvesting, and its uses! and how they're useful in our lives! Let's go clay pottery making at Muang Kung Village! It's time to have lunch! We'll return you back to your hotel! I hope you enjoyed my trip! Thank you so much for joining me! 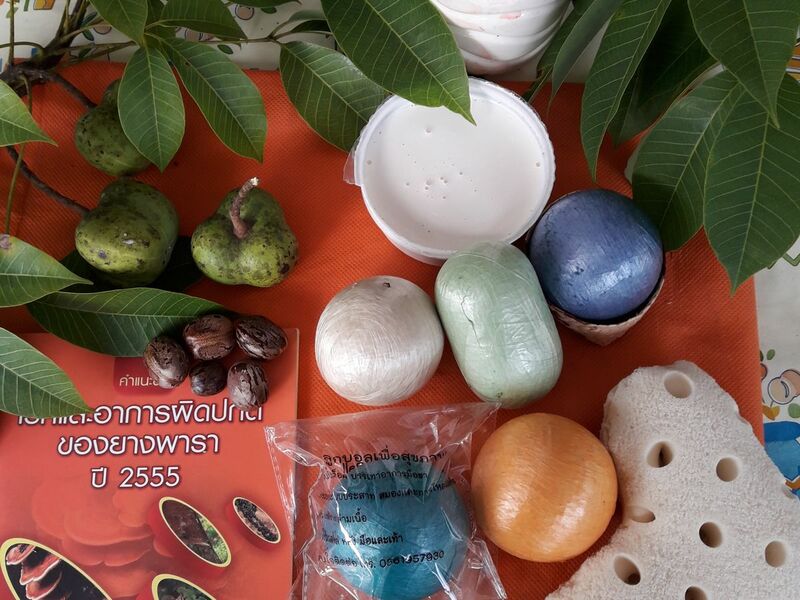 To explore handmade rubber ball of Chiangmai, show to make use from natural product and usage for better health. clay pottery village only make at Muaeng Kung, this is Lanna heritage. Casual wearing easy to do activity with the latex and color.